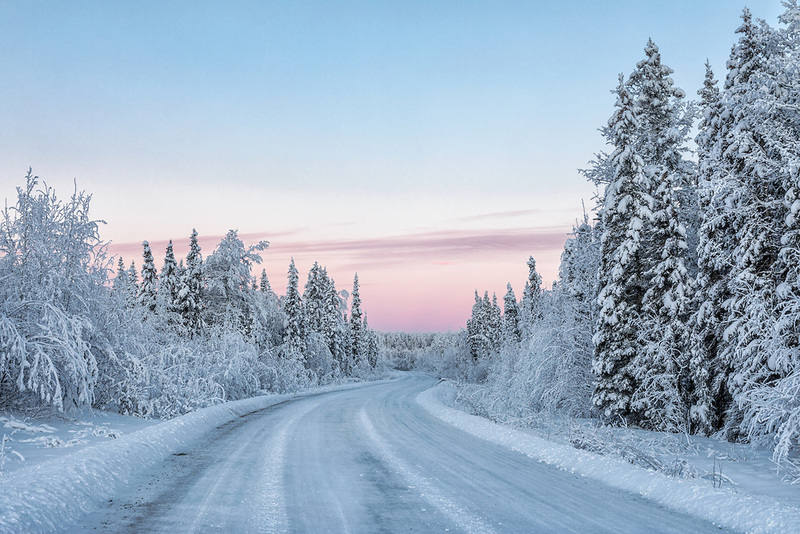 Hoarfrost covers trees along road in Fort Richardson in Southcentral Alaska. Winter. Morning.